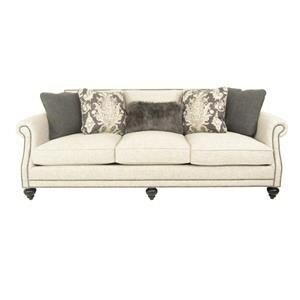 Rolled panel arms and turned wooden feet offer traditional style to this three seat sofa. 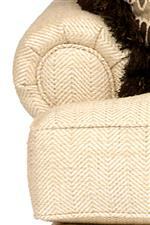 Thick seat cushions offer plenty of comfort and plenty of room to stretch out and unwind. 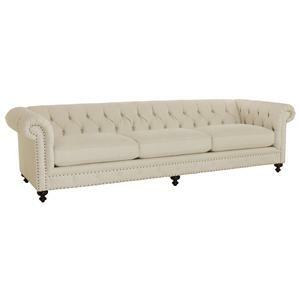 Great for large living rooms in the traditional home. 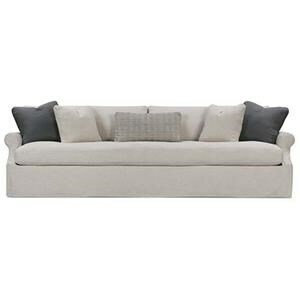 The 5221 Traditional Sofa with Rolled Panel Arms by Smith Brothers at Sprintz Furniture in the Nashville, Franklin, and Greater Tennessee area. Product availability may vary. Contact us for the most current availability on this product. 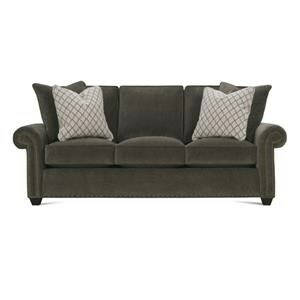 Adding this sofa collection to your living room will provide the traditional style that you've been looking for. Comfortable seating and plush seat backs will take your relaxation to the next level. 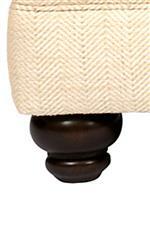 Rolled panel arms over turned wooden feet featured in each piece provide interesting detail. 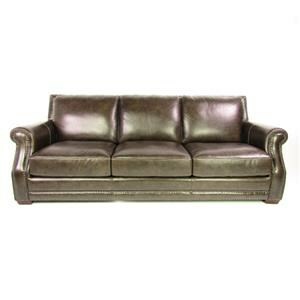 Durable kiln-dried hardwood frames ensure that you enjoy this sofa collection for many years to come. 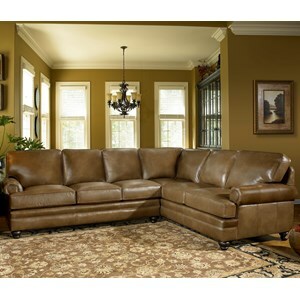 Available in hundreds of fabric and leather options, so you can choose one that works best for your home decor. The 5221 collection is a great option if you are looking for furniture in the Nashville, Franklin, and Greater Tennessee area. 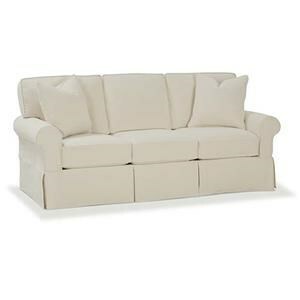 Browse other items in the 5221 collection from Sprintz Furniture in the Nashville, Franklin, and Greater Tennessee area.